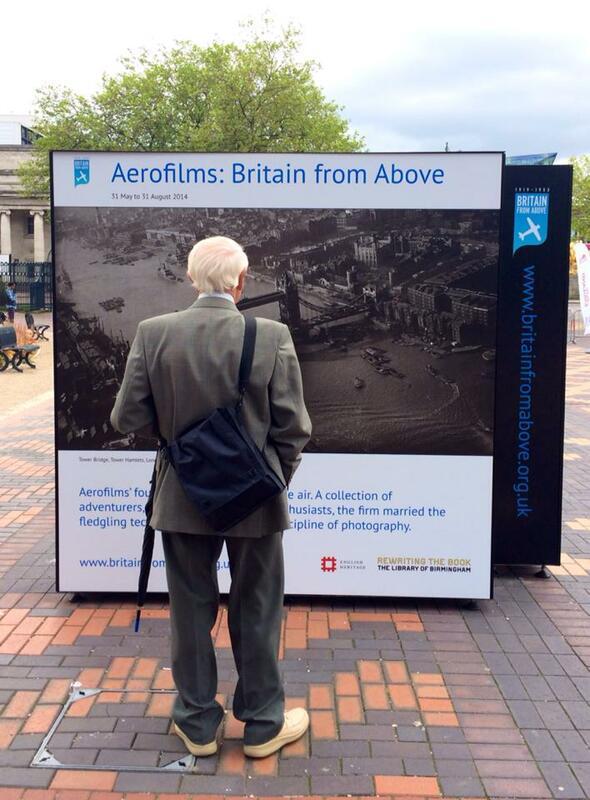 This exhibition – curated by English Heritage – showcases Aerofilms’ unique aerial archive with images dating from 1919 to 1953. Aerofilms Ltd was the world’s first firm of commercial aerial photographers. Established in 1919, Aerofilms’ founders were pioneers of the air. A collection of adventurers, showmen and aviation enthusiasts, the firm married the fledgling technology of flight to the discipline of photography. From the very start of operations, Aerofilms took photographs of villages, towns, cities and landscapes all over the country. Continuing this far-reaching programme for 80 years, its photographs provide a unique view of the development of Britain’s urban centres and rural landscapes throughout the 20th century. In addition to the outdoor exhibition, which shows images from across Britain, a special indoor display presented in the Spotlight space which opens in late June at LoB will feature images from Birmingham and the West Midlands. 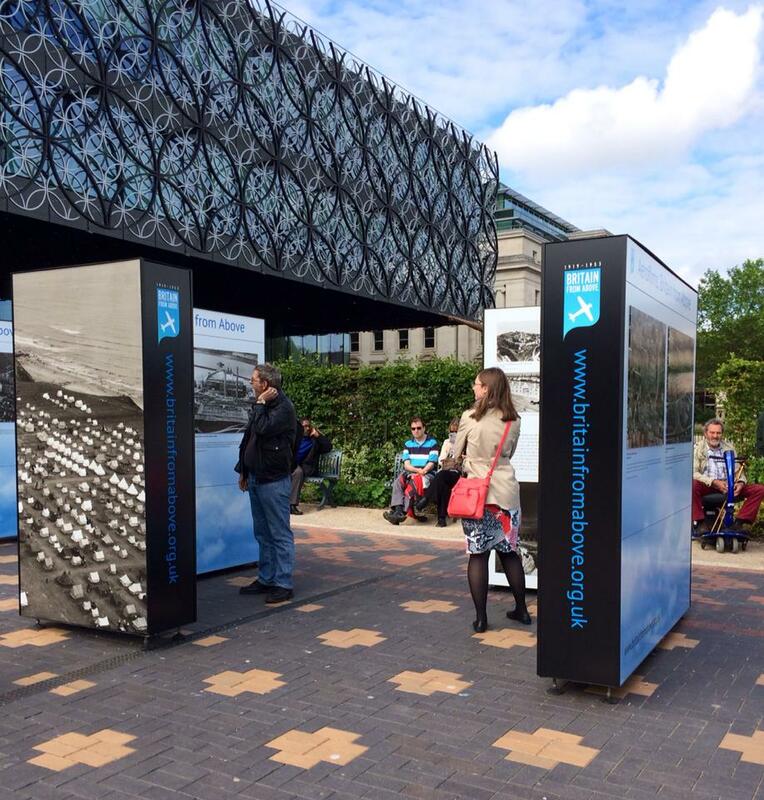 The exhibtions are presented as a partnership between English Heritage and the Library of Birmingham.